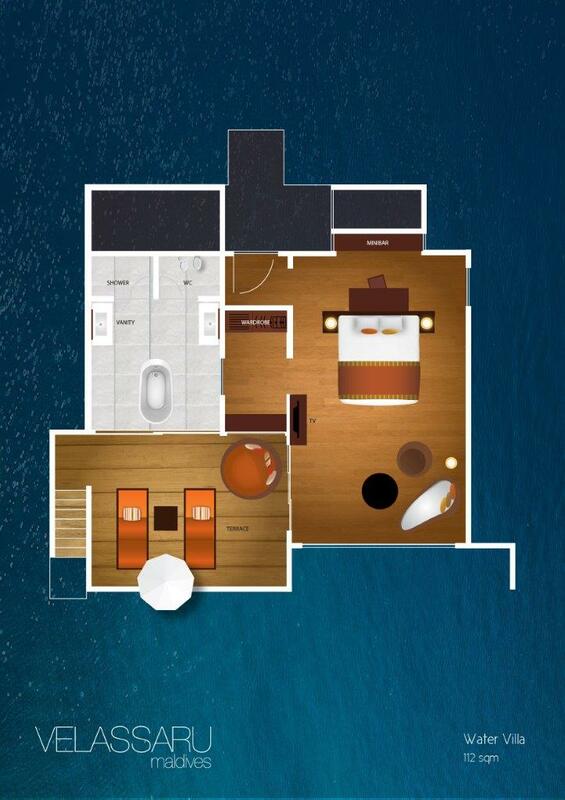 Your Water Villa offers 112sqm of modern living, positioned enviably over our sparkling lagoon, with far-reaching Maldivian views. Bathed in warm, natural light and equipped with lavish amenities, each villa offer direct access to the lagoon and a spacious private deck to lounge on. Personal wine chiller, Plush king-sized bed. Indoor shower and bathtub with lagoon views. Ironing facilities, Double vanity, Pillow menu.